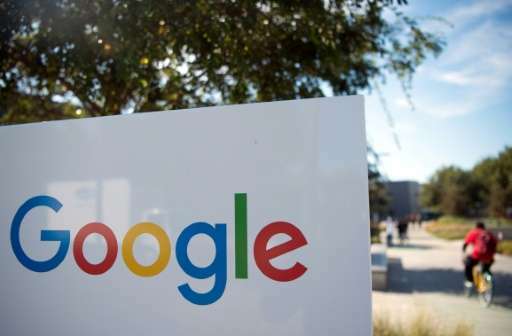 Google painted a bleak picture of cybersecurity trends Monday, saying the number of websites hacked rose 32 percent last year, with little relief in sight. "We don't expect this trend to slow down. As hackers get more aggressive and more sites become outdated, hackers will continue to capitalize by infecting more sites," Google said in a post on its webmaster blog. Google, which inserts security warnings when it detects hacked sites, said most of those warned can clean up their pages, but that 61 percent are not notified because their sites are not verified by the search engine. "As always, it's best to take a preventative approach and secure your site rather than dealing with the aftermath," the blog said. "Remember a chain is only as strong as its weakest link." The news comes amid growing concerns over cybersecurity in the wake of massive hacks affecting Yahoo, the US government and major e-commerce firms. Google said certain website hacks often follow similar patterns—some insert "gibberish" on a page, while others create Japanese text that links to fake brand merchandise sites. "Hacking behavior is constantly evolving, and research allows us to stay up to date on and combat the latest trends," Google said. This is rich!...coming from the biggest 'hacking' perpetrator/risk ever! Google's NID and other 'cookies' have subverted all the 'standard' browsers available on the net. They load/establish themselves despite any and all the 'cookie management/prevention' capabilities 'standard' browsers have programmed into them. I have a customized browser/system; programmed to find/detect and delete all Google 'cookies' immediately they attempt to establish on my customized browser/system, irrespective from which 'visited site' they were launched (Google has established indirect launches from all sites on the net, even the reputable ones.....all because they all go after the ADVERTISING DOLLAR irrespective of damage/attacks on visitors' systems/privacy). Beware Google...and any site which allows its system to launch Google's trojan horse cookies which they and other bad actors exploit to your cost. Google has strayed infinitely far from its old motto. Don't say you weren't warned! @ Really-Skippy. How you are Cher? I'm fine and dandy, thanks for asking. Alright, I won't say it. Thanks.